Michael Edwards is enjoying somewhat of a cult hero status amongst Liverpool fans at the minute – details of the club’s Sporting Director’s dealings have been a hit. Managing to sell Dom Solanke for close to £20million 18 months after the club signed him – with just one goal to speak of – speaks wonders. With the money obtained from the sale of Phil Coutinho last year Liverpool invested it back into the squad and picked up Virgil van Dijk and Alisson Becker for roughly the same amount. Alisson, van Dijk and the rest of the defence have amassed an impressive 17 clean sheets – the highest in the Premier League this season. 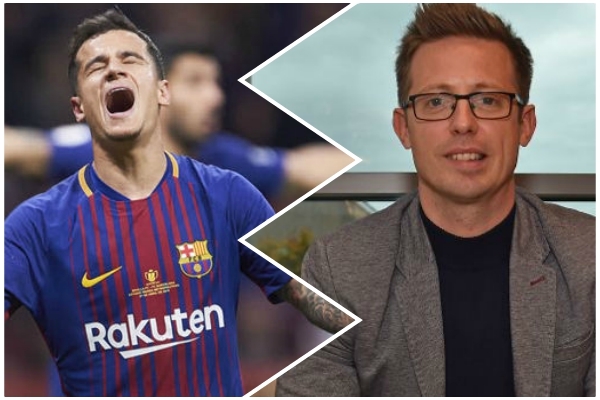 But it’s Edwards’ latest stunt, revealed by the Express, that Reds fans will be lapping up – inserting a special clause during the Coutinho negotiations that especially annoyed Barcelona. The aforementioned clause demands a premium Barcelona will HAVE to pay if they try to sign another Liverpool player in the next two years. This premium translates to – at least – another £89million for any Reds player that Barcelona are interested in buying – this decision comes after losing Javier Mascherano, Luis Suarez and Coutinho to the Catalan giants in recent years. So if Barca want Sadio Mane, for example, he’ll cost whatever asking price we put on his head – plus another £89m. This is welcome news as Liverpool currently have some of the best players of their positions on the planet – and Barca won’t be in the running for any of them. Real Madrid might try to have a look at some point, but are they genuinely a more attractive proposition than us right now?